Interpretive film, visitor center. Picnic area. Self guided tour brochures available. 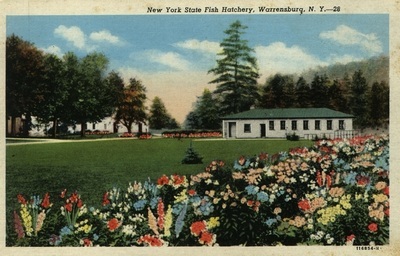 Fish Hatchery - Early in 1912, Senator James Emerson introduced a bill “for the establishment of a New York State Fish Hatchery in the county of Warren.” On April 14 of that year the law was passed, directing the NYS Conservation Commission to select and purchase a parcel of land in Warrensburg for the rearing and hatching of black bass, trout and other fish for distribution to the public streams of the state. The state took title to lands owned by Addie Glynn and John H. Lockwood. 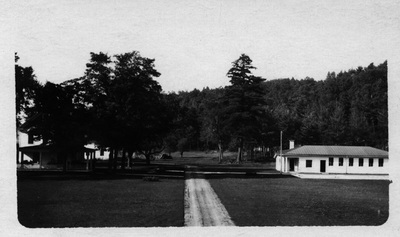 Both properties were once part of the Lockwood farm. The property consists of 72 acres, including an island on the Hudson River, across from the parking lot. The proposed hatchery was to be the largest in the state and would hatch 10 million fish each year. 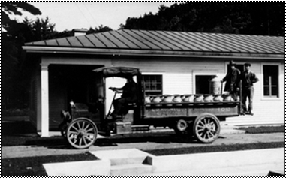 In 1915, the hatchery was constructed under contract by George E. Farrar of Warrensburg. 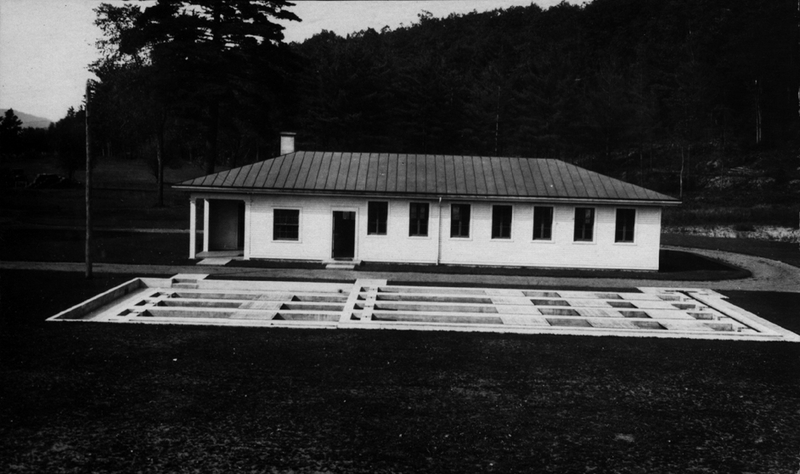 Superintendent Sumner Cowden put the first hatch, consisting of 450,000 brook trout, in the troughs. 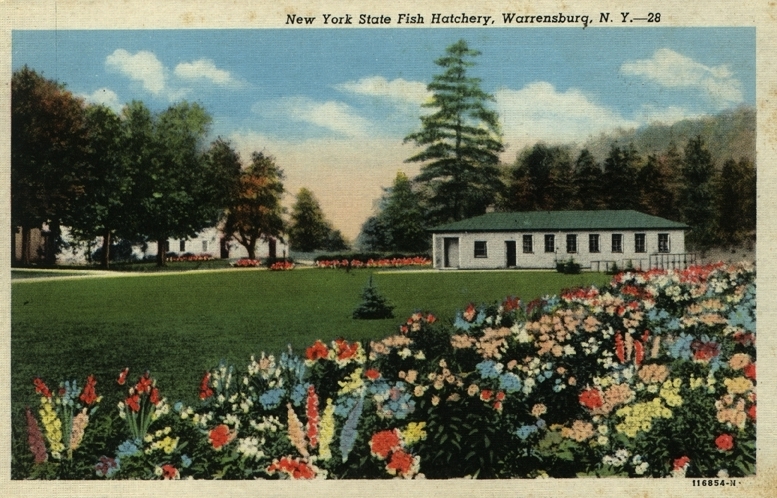 The Warren County Fish Hatchery - In 1982 Warren County obtained the facility from New York State and it is now operated by Parks and Recreation of the Warren County DPW. The fish raised here provide improved sport fishing throughout Warren County waters. Domestic strains of rainbow and brook trout, raised in hatcheries for several genera-tions, are stocked every spring as yearlings, but are actually about 1 1/2 years old. These fish are typically 12 inches long and can weigh 1/2 pound each. Wild strains of brook trout, some of which come from brood stock, are stocked as fingerlings each fall. These fish are 3 to 4 inches long and will grow to 9 inches by spring. Aside from the hatchery, these grounds offer a sheltered picnic area with restrooms, a child’s play area and canoe access site, as well as sport facilities for softball, basketball, volleyball and horseshoes. 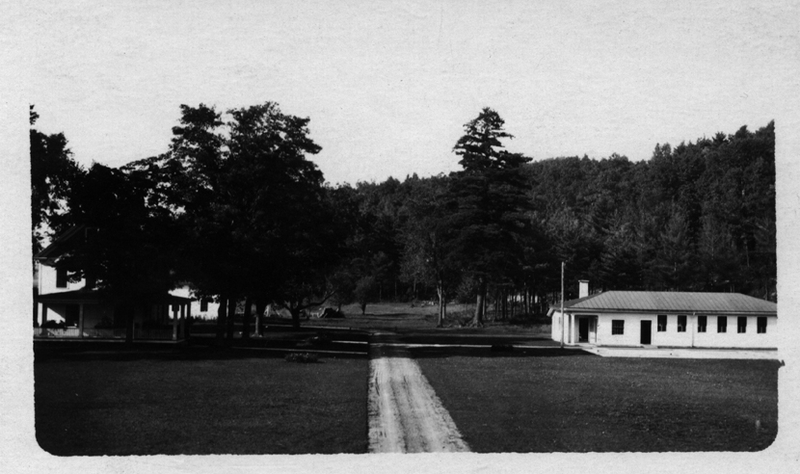 The Warrensburgh Historical Society has held its Annual Croquet Competition and Picnic here every August since 1997. 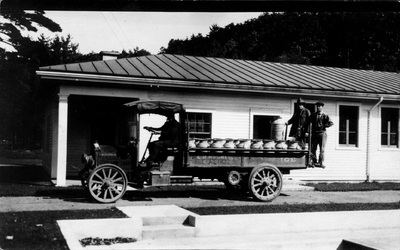 The Warren County Fish Hatchery is operated by the Parks, Recreation and Railroad division of the Warren County DPW. 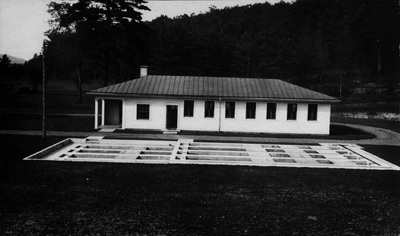 The Hatchery has been in operation since 1914, however Warren County obtained the facility from New York State in 1982. Since then we have enjoyed great success in raising domestic brook trout, rainbow trout, landlocked Atlantic salmon, and heritage brook trout. The property consists of 38 acres along the Hudson River located in the Town of Warrensburg. Aside from the Hatchery, these grounds offer 2 sheltered picnic areas with rest rooms, a children’s play area and canoe access site, as well as a large open area for other activities. We have become a favorite spot for picnickers and fisherman alike! We offer reservations for the use of the picnic pavilions on a first come basis. Organizations, school groups, and the general public may schedule a tour of the facility by calling our office (518-623-5576). The fish raised here provide improved sport fishing throughout Warren County waters. Domestic strains of rainbow and brook trout are stocked every spring as yearlings. Wild strains of brook trout, provided by DEC, are raised and stocked as fingerlings each fall. These fish are 3 to 4 inches long. Please refer to our stocking list for more information on location and numbers. In the Visitor Center you will find an educational video describing the year round hatchery routine and educational displays. A self guided tour and stocking information are located in the Visitor Center. 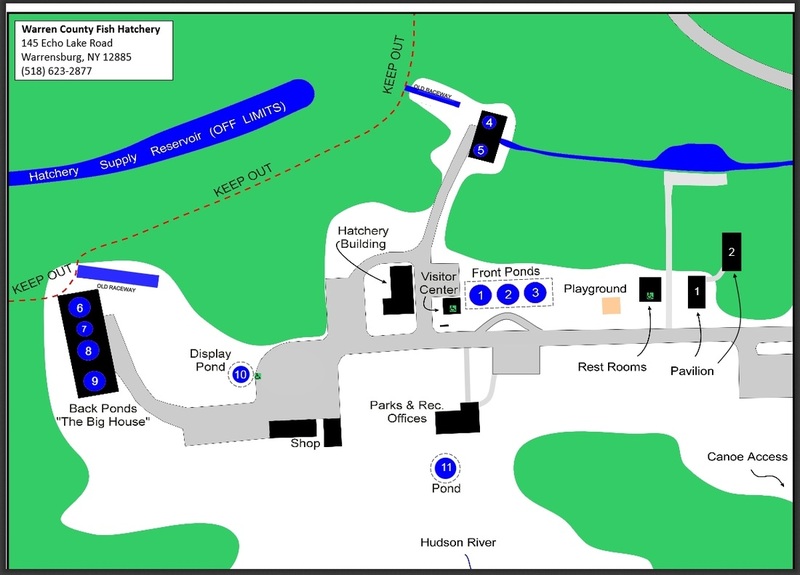 The Hatchery Building is where the process all begins (This area is off limits to visitors except under staff guided tour). Our fish are obtained as eggs from state and federal hatcheries. They are incubated, hatched and transferred to “grow out” in our raceways. In the summer months they will be moved to rearing ponds for future growth. The facility currently utilizes (10) ten rearing ponds and a Display Pond. The Display Pond allows visitors a close up view of mature trout. Their ages range from 1 to 5 years and may weigh upwards of 5 lbs. These fish are typically not stocked and are for display only. The Hatchery and ponds are spring fed from a collection ditch. 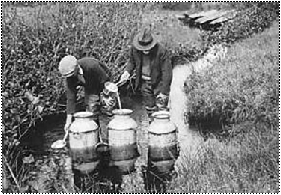 The water is gravity fed, so there is no need for pumps. These springs can provide up to 500 gallons of water per minute. Since there is always a constant flow of water, the ditch and ponds never freeze in the winter months. The average annual temperature is 48 degrees Fahrenheit.